Forget Black Friday and Cyber Monday — “Blue Thursday” arrives just in time for the busy holiday shopping season. Of course, by “Blue Thursday” we’re referring to Thursday, December 6, when auction house Sotheby’s launches, “Lady Blue Eyes: Property of Barbara and Frank Sinatra,” offering fans and collectors alike an opportunity to own a piece of the famed crooner — dubbed Ol’ Blue Eyes — and his fourth and final wife Barbara, who passed away in 2017 at the age of 90. Sure, most of the stuff is glitzy and glamorous and likely out of your price range, but it’s always nice to look, right? And in the event you’re aiming to pick up a little piece of Sinatra for yourself or a loved one this holiday season, we’ve ranked some of the most interesting items from every price range on the auction block, from one of Frank’s paintings to jewelry, clothes, a golf bag, the most hideous set of serving dishes you’ve ever seen and more. All prices are listed in Canadian dollars. 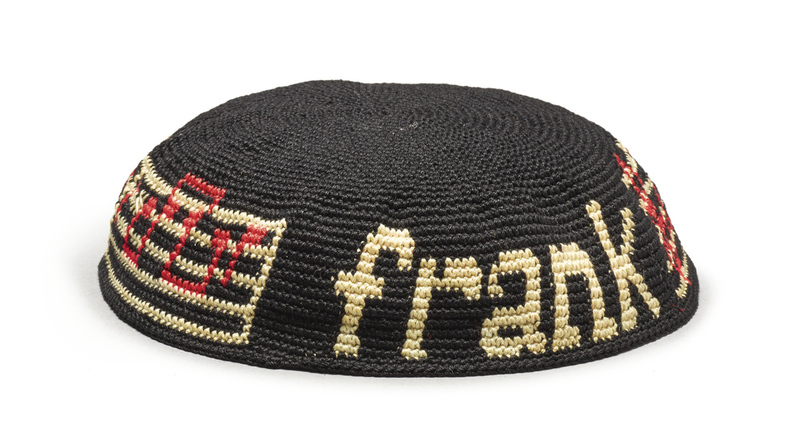 For those looking for an affordable piece of Sinatra memorabilia, this personalized, handmade yarmulke — a nod to the singer’s lifelong support of Jewish causes — is estimated to be the most inexpensive item on the docket. Whether that price gets driven up by fans who want a unique and affordable Sinatra keepsake is anyone’s guess. Put a t-shirt that reads “U.S. Drinking Team Coach” on some average, out of shape guy on the street and it looks tacky and lame. 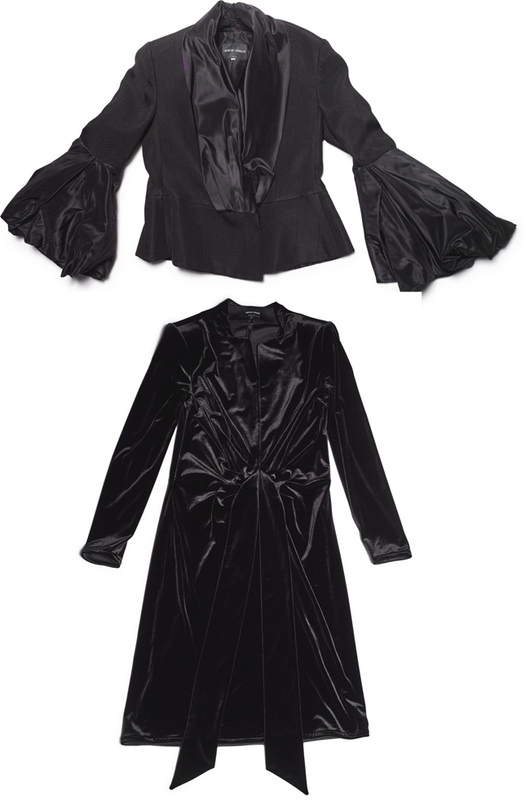 Put it on a tailored jacket worn by one of the most famous celebrities in the world and suddenly it’s a hilarious nod to the joys of alcoholic indulgence. According to the Sotheby’s catalogue, “Frank Sinatra had a set of these U.S. Drinking Team jackets custom made for him and a group of his closest friends. 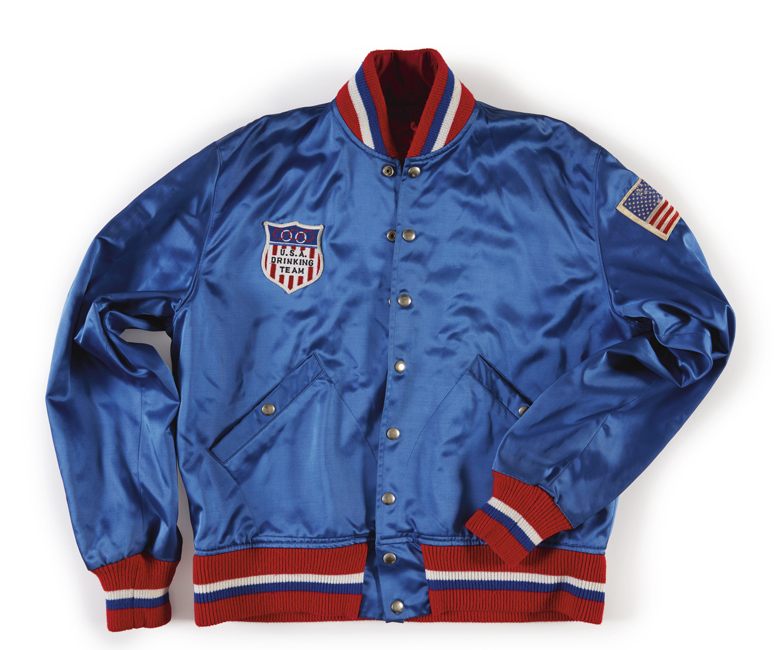 His read ‘Coach’ on the back, and the others had the last names of his friends.” Evidently the drinking buddies wore them “out to dinner, and while at leisure in Palm Springs,” but it’ll look just as good when you wear it to the post office or on trips to Costco. It’s versatile that way. This is one of our favourite items on the auction block. 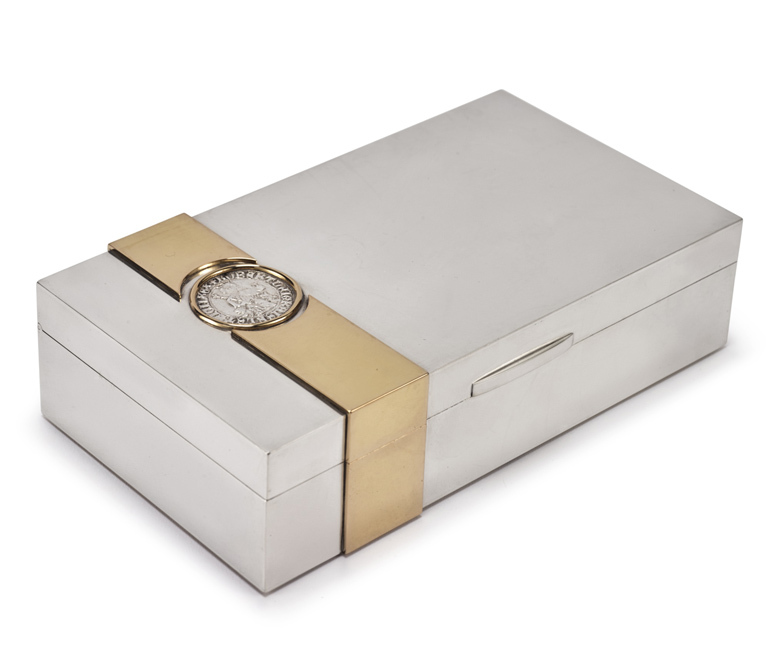 Not only is the box elegant and stylish, but with marijuana being legal in Canada now this box makes a great place to store your stash. How classy will you look when your friends come over and you offer them a spliff from this beauty? Frank Sinatra famously loved golfing, making this personalized golf bag and assorted items within even more of a treasured keepsake. 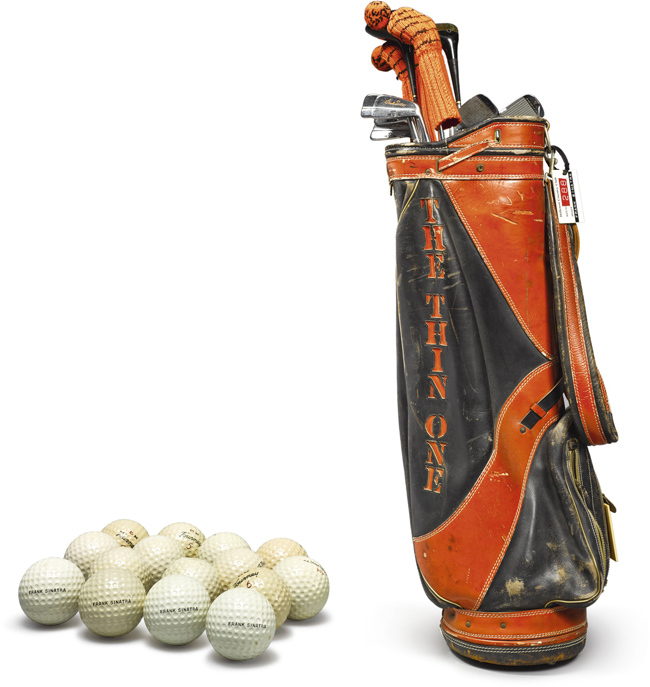 Sotheby’s notes that the partial set includes, among other things, “8 irons and 4 woods … white leather and orange nylon Gino Paoli left-hand glove; 15 vintage gold balls, four of the First Flight balls additionally printed ‘Frank Sinatra’ and three others printed ‘The Thin One’; four unopened sleeves of Wilson Ultra 500 golf balls printed with the logo of the Frank Sinatra Invitational; a large quantity of vintage wooden tees; and a nylon wheel-board travel bag with the logo of the Frank Sinatra Celebrity Invitational.” In other words, if you actually play a round of golf with them and knock one of those balls into a water hazard, you better be prepared to go for a swim to retrieve it. 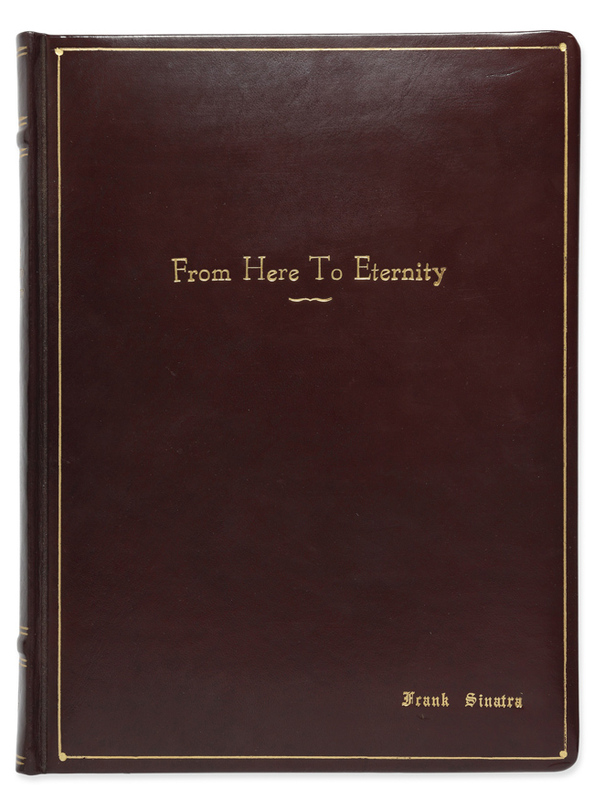 A number of Sinatra scripts, from The Manchurian Candidate to Ocean’s 11 are up for auction, but From Here to Eternity, which won the crooner the Oscar for Best Supporting Actor, tops the list. This is a real piece of old Hollywood history and makes for a great read while sitting around in your new velvet evening dress. 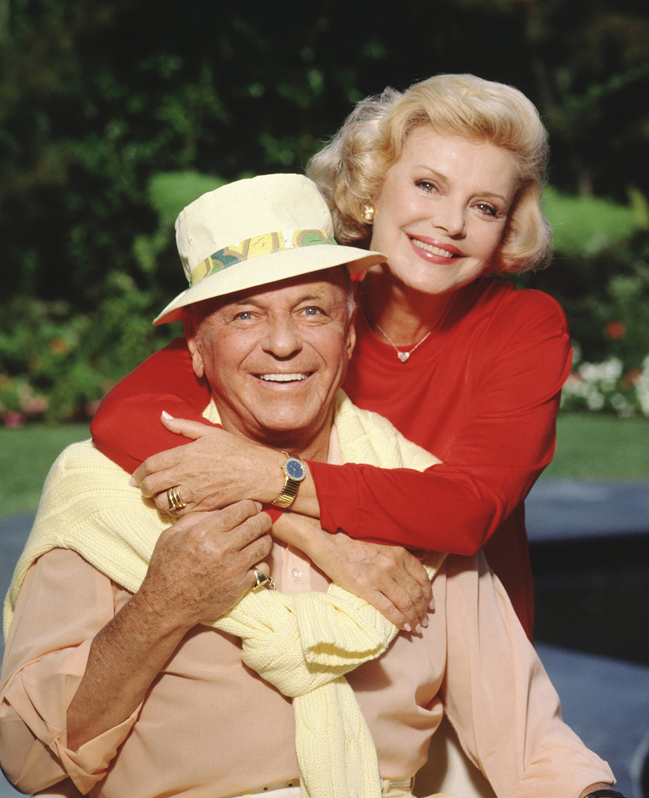 Sinatra was known for showering his wife Barbara with jewellery for no reason other than to surprise her and show his love for her. 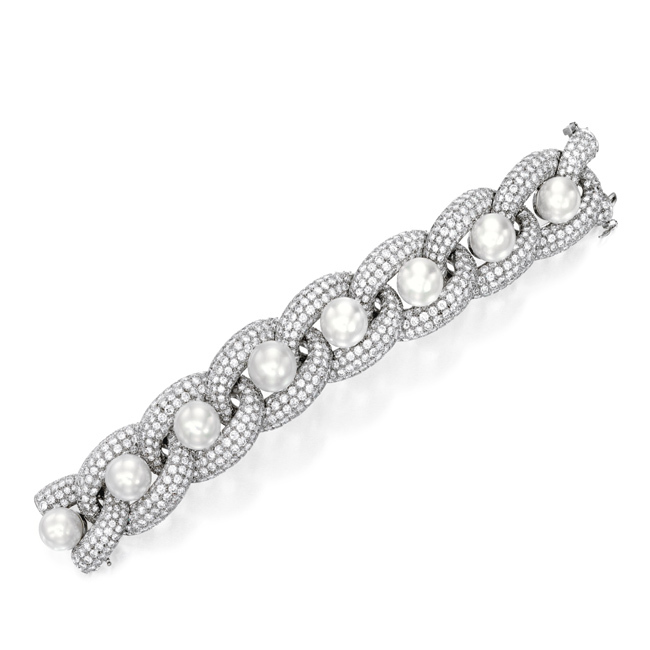 And what better way to say “I love you” than with what Sotheby’s describes as a bracelet, “Composed of white gold chain links pavé-set with round diamonds, embellished with a row of eight cultured pearls measuring approximately 13.8 to 12.3 mm, length 7¼ inches.” Of course, for Sinatra, spending the equivalent of a down payment on a small house to say “I love you” was no big deal. But if you’ve got the cash to burn, it could be yours. We’ve listed this item here purely for the entertainment value. I mean, look at this. It looks like a table setting at Bugs Bunny’s house. 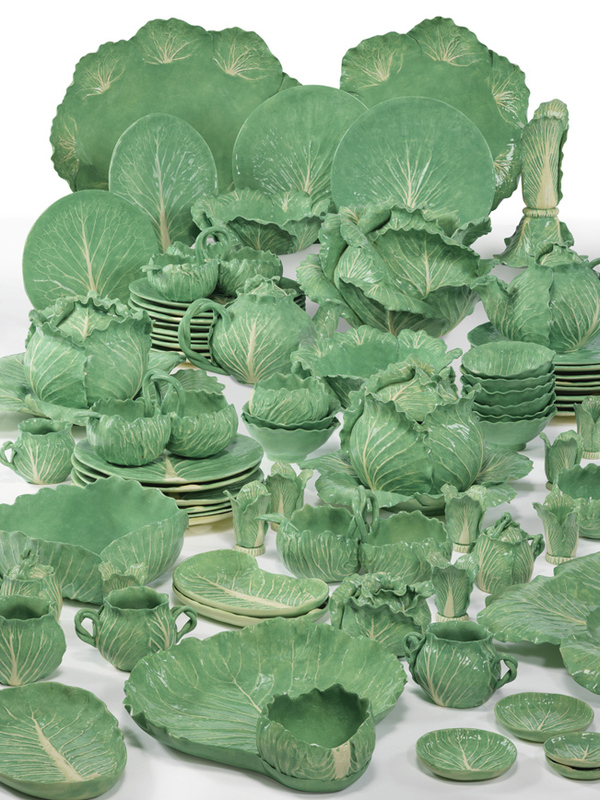 And, it’s actually called “lettuceware.” It’s just so much green leafiness — 307 pieces of it — in one collection. Anyway, while it’s not my taste it certainly was right up Barbara Sinatra’s alley. In fact, the auction catalogue notes that she, “personally traveled to Palm Beach to acquire this pottery lettuceware service directly from Dodie Thayer, which she then frequently used when entertaining.” I’m just going to leaf it at that. Now this is a beautiful and classic item that proves you can cover something in leaves and make it look good. 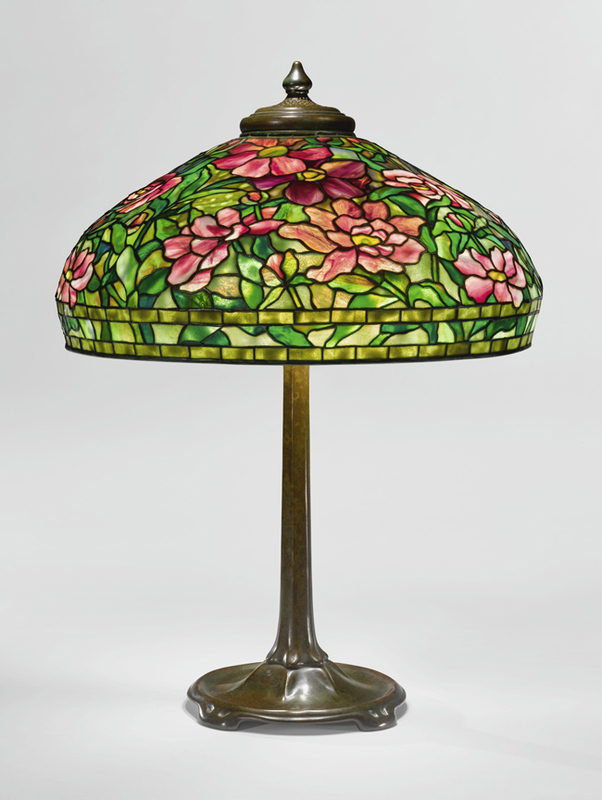 The listing notes it’s made of leaded glass and patinated bronze and while it’s pricey, it remains a lovely, and functional, Sinatra keepsake. 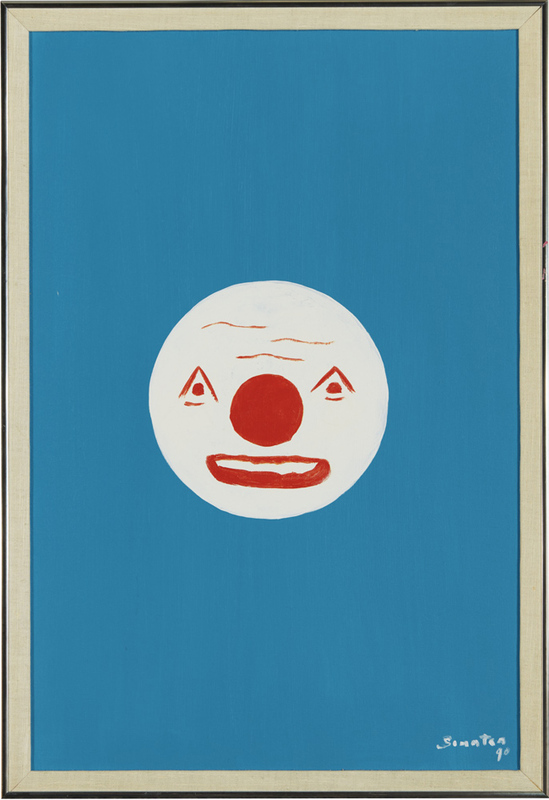 We started the list with the lowest-priced item at auction and end with the most expensive piece — an artwork by American painter Walt Kuhn that held sentimental value for Mrs. Sinatra. 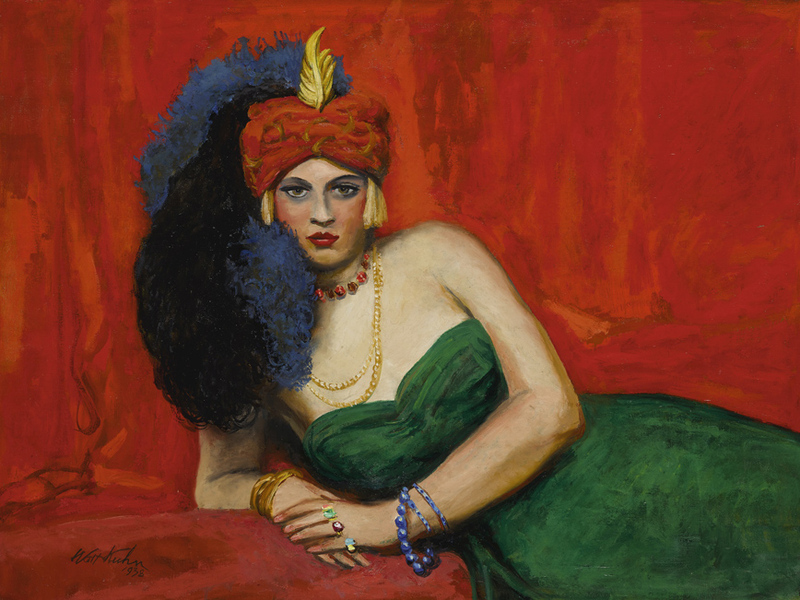 “Featuring a subject reminiscent of her own early showgirl days, Kuhn’s Girl with Turban (Zuleika), always resonated closely with Barbara Sinatra,” the listing catalogue explains. “According to her son, Robert Marx, ‘That was her favourite painting. She called it her flapper … She always said I’m never going to part with that.’” Take out a second mortgage on your house to pay for it and she can be your flapper from here on out. The Sotheby’s “Lady Blue Eyes: Property of Barbara and Frank Sinatra” auction opens on Thursday, December 6 at 2:00pm EST. Click here for more information.